Several months ago, a friend from high school contacted me about supplemental products that had changed her life. I wasn’t interested, but politely responded to her instant messages on Facebook. Occasionally, she followed up with other information about her health and the products she took regularly to address physical issues. Over time, I started asking questions, with the biggest being, “What’s it going to cost?” (Isn’t that the question we always ask?) She shared the answer and I knew our finances would not allow. It costs money to support a wife and six kids…. For the last several months my wife’s suffered with nagging patches of eczema and my second born’s battled reoccurring bouts of strep and throat infections. My wife’s tried several creams and medications without relief and my son’s visited the doctor multiple times, without success. For my son, we started taking him to a homeopathic doctor and he’s improving, but not 100%. I decided I needed to do whatever it took to help get my family well. With the help of my parents and encouragement from Kim Lawhon (friend from high school), we decided to take the plunge. My wife and I started the Bio Cleanse a few days ago and will be adding the ProBio5 soon. 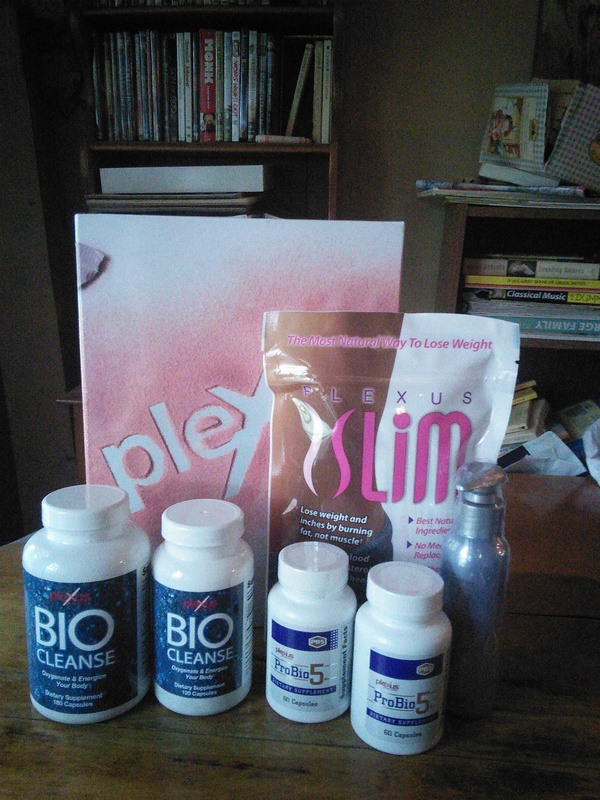 My wife is also applying the Plexus Cream for the eczema. It appears we’re guinea pigs of sorts, as several people are now curiously watching for updates and testimonies of improved health. In fact, some are already poised to start the products as well, joining us in this healthy experiment. I pledge to share our results…good, bad, or indifferent. I hope to update at least once per week, so please check back regularly. Full disclosure…I don’t believe in miracle working drugs or vitamins and supplements. However, I believe in a God who functions as our Great Physician, often using medicines and vitamins to accomplish His healing purposes.